I just realized that I hadn’t blogged about this yet!! I’m doing my best to mix up my personal, “Hey this is how things are going/this is how I’m feeling” with the nutritional tips, workout tips etc etc. So.. in an effort to not inundate people with my personal life, I forgot to inundate people with my personal life! I wish I had brought down a camera because the place that we had this boot camp was frigid. Mind-bogglingly cold. Yup there it is. Complete with water drips and very very little heat. Which is not advantageous in the mountains in January. Aside from that, it would have been nice to get some extra documentation of what we did! LiftOff and myself ran 15 Greenbriar Roller Vixens through 4 hours of drills, skills and endurance and then we did an hour of nutrition education at the end. We even got a bunch of girls on their own nutrition plans which is really great. It means they understand the value of proper nutrition for athletes. Well, that and it shows that I am able to convey the information well enough for people to understand it! Sometimes I wonder. Greenbrier is located in Lewisburg, WV, and is even more isolated than I thought it was. It took me a healthy 5 hours to get down to their little town (Which was adorable and totally deserves that “Coolest Small Town” award). See? Not really near much of anything. Which is part of the beauty. Greenbrier is a very small league, and they’ve only been up and skating for about a year. I met several of them when I attended the Jingle Brawl in Morgantown in December. They knew they needed outside help to teach them techniques, skills and maneuvers they had witnessed at the W.F.T.D.A. Championships this November, but had no idea how to actually do any of them. Little, yes, but one of the coolest logos I’ve seen. So we focused on off skates warm-ups/strength, transitions, backwards skating, backwards maneuvering, agility, 180 toe stops/stopping on a dime, backwards blocking, and blocking with partners. It went over really well. We had to adjust our plan from time to time because skills that we thought were basic and everyone knew them – well.. they had never been taught! It was awesome coming out of that camp and knowing that we had really helped some skaters learn and practice new things. There were so many other drills, relays and skills that I wanted to teach. There just is never enough time! I am super stoked to go back down though. 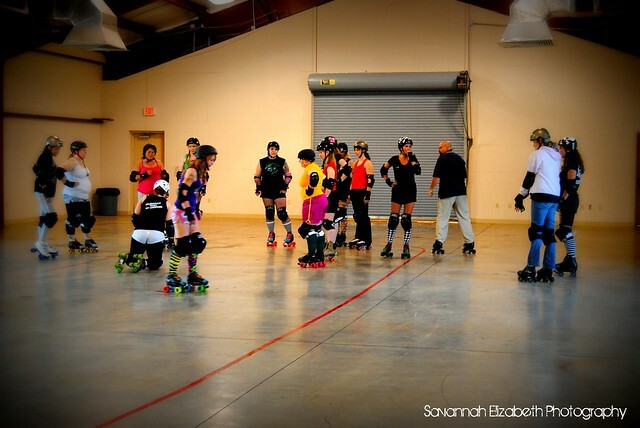 On spring break, I will be visiting the Beckley Area Derby Dames and doing a boot camp on Tuesday night. The following night I am really HOPING to be at Chemical Valley. The day after that… I’ll be back at Greenbrier! So amazing. I have the best job in the world … did I mention that? I get to skate, help people be healthy, help people hit their goals and meet awesome new people all over the country. And then even better is that I also get to train people to do what I do!! SO AWESOME!!!! I’m looking forward to 2013 is such a big way. Derby. Bridal Shows. Creating a hub in Harrisburg for people to come to. Travel and more!! Yea for Health, Weatlh and the time to enjoy both!!! 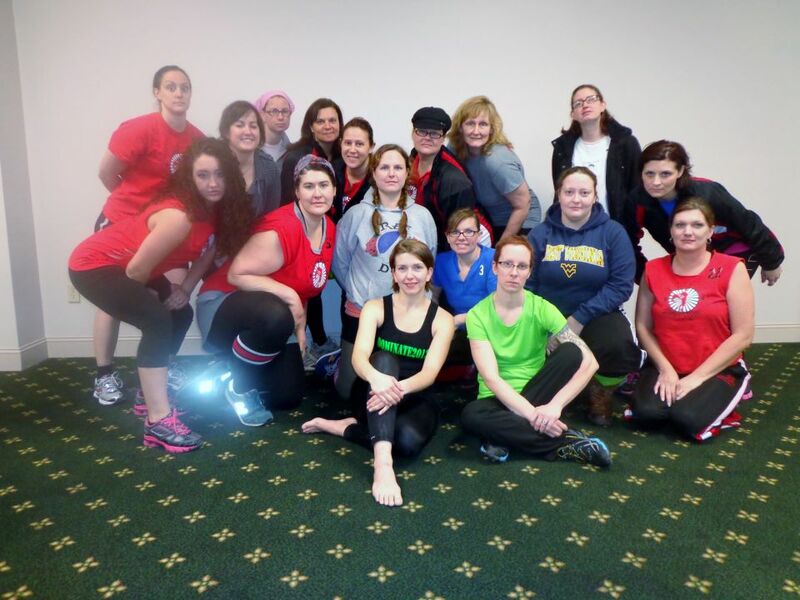 If you’re interested in a boot camp (derby or non-derby!) or nutrition classes, hit me up. If you’re just looking to get healthy, don’t be shy to drop me a message. I would love to help you get on your path!